We hope you have a wonderful experience shopping at Elegant Bridal Hair Accessories. All our items have detailed pictures and descriptions at the click of the mouse. Just use the links at the top of every page to go to the item you want. If you get lost, or want to return to something you saw on a previous screen, you can use the links within the upper bar to retrace your steps. If there are any additional questions regarding any of our products, please contact us at info@www.elegantbridalhairaccessories.com. As our product inventory is constantly evolving to keep up with the trends, Elegant Bridal Hair Accessories does not carry a printed catalog. We feature all of our products on our website. Please visit us at Elegant Bridal Hair Accessories. Elegant Bridal Hair Accessories accepts Visa, MasterCard credit card payments. For your convenience, we also accept payment via PayPal. What is Elegant Bridal Hair Accessories’ pricing and discount policy? Elegant Bridal Hair Accessories’ prices are extremely competitive with those of other retailers in the industry. We also offer FREE ground shipping within the US for all orders. We ship to international customers on a limited basis. Please contact us for international shipping costs and fees. Please Note: Additional charges, such as customs duties and taxes, are separate from this transaction, are not calculated during checkout, and are not collected by Elegant Bridal Hair Accessories. We are not in a position to assist with or give advice on these additional charges. Please consult your local customs office/broker for more details. Elegant Bridal Hair Accessories ensures that all transactions conducted online are completely secure. Credit card payments are processed through Paypal payment gateway. They are therefore secured using Secure Sockets Layer (SSL) Web Server Certificate which encrypts all data to and from the site when you check out. We take strong security measures to prevent the loss, misuse and alteration of your information once it is in our records. What is Elegant Bridal Hair Accessories’ product availability? Once you place an order with us, expect the shipment to leave our warehouse within 1-3 business days. You will receive an email notification immediately following your order. 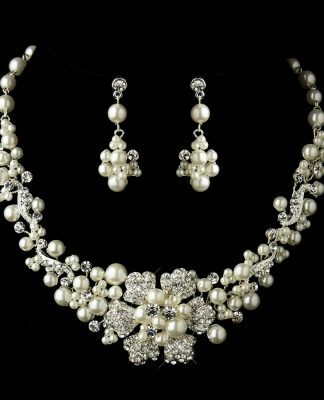 Once your bridal accessory order leaves our warehouse, we will get a tracking number from the warehouse and email it to you. Although your order may ship out in 1-3 business days, we may not have tracking details available for you for up to 2 business days. You will also receive an email from us if there are any questions or issues regarding your order. Please note that the receipt of an e-mail order confirmation does not constitute the acceptance of an order or a confirmation of an offer to sell. Elegant Bridal Hair Accessories reserves the right, without prior notification, to limit the order quantity on any item and/or refuse service to any customer. Verification of information may be required prior to the acceptance of any order. What is Elegant Bridal Hair Accessories’ shipping method? Elegant Bridal Hair Accessories uses USPS and UPS Ground, 2-Day and 3-Day Service for all deliveries. For more information, please consult our shipping page at Shipping & Returns. We are happy to rush orders at an additional charge. We offer UPS Next Day Air AM, Next Day Air, Saturday Delivery, 2-Day Air and 3-Day Air. We will make every attempt to contact you via email to advise you of the actual charges prior to shipping your packages. 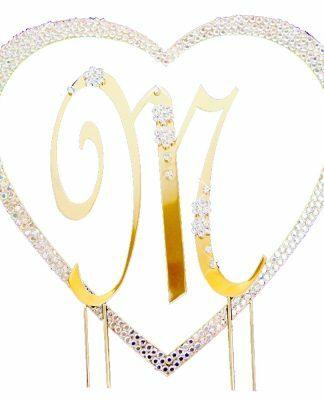 Can Elegant Bridal Hair Accessories customize my accessories for me? Unfortunately, due to the fact that most of our products are intended for one time usage and to keep our prices very low, we cannot accept returns or exchanges on any merchandise. All sales are final. No exceptions. It is your responsibility to check all items Upon Receipt for defects, miss-matches, fabric, size & color. You must notify Elegant Bridal Hair Accessories within 2 days of receipt of the Damaged or Defective Items for return authorization. Items returned for exchange with authorization will be subject to a 20% restocking fee and all shipping charges, No exceptions. If an item you ordered is received as the incorrect item do to an error on behalf of Elegant Bridal Hair Accessories, we will either credit your account or send replacement with your next order. If upgraded shipping is required, you will be responsible for the additional upgraded charges. We do not upgrade shipping for replacements, we will ship ground and further upgrades in shipping is at your expense. Shipping charges quoted are for ground shipping to the continental USA. If upgraded shipping is required, please e-mail us for shipping quote. The customer is responsible for shipping. We do not refund shipping charges. No credit is given for lost packages and non-returnable items returned to us will not be shipped back to the sender nor credited to their account. We do strongly recommend that you use a shipper with a traceable shipping method as we cannot be responsible for damaged or lost return packages. You may change or cancel your order as long as the order has not been processed and shipped by contacting us as sales@www.elegantbridalhairaccessories.com. Does Elegant Bridal Hair Accessories offer gift-wrapping services? How does Elegant Bridal Hair Accessories use my personal information? How does Elegant Bridal Hair Accessories collect information? What is my agreement with Elegant Bridal Hair Accessories when shopping? What is Elegant Bridal Hair Accessories’ commitment to customer service? 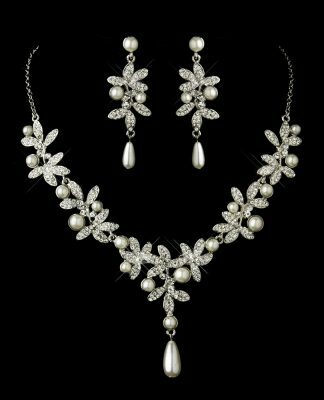 Elegant Bridal Hair Accessories is committed to providing a quality customer experience. We are constantly reviewing your feedback to improve and enhance your shopping experience. You can tell us what you think by sending us an email at info@www.elegantbridalhairaccessories.com. Every effort is made to ensure your order arrives safely after it leaves us. While the frequency of damaged packages is low, if an item is received damaged, please inform us within 2 business days. Be sure to include a picture of the damaged item, the style number and invoice number. After approval, we will create a credit on your account or we can ship out a replacement with your next order. Please indicate which option you would prefer. If you choose to have us send a replacement with your next order, then please include a note in the comment area when placing next order to include the replacement for the item received damaged. We do not pay for any shipping or upgraded shipping charges for items received damaged/or in error. We will happily send you a replacement with your next order or credit your account. Does Elegant Bridal Hair Accessories have any customer testimonials? Hear what our customers have to say about their shopping experiences at Testimonials. 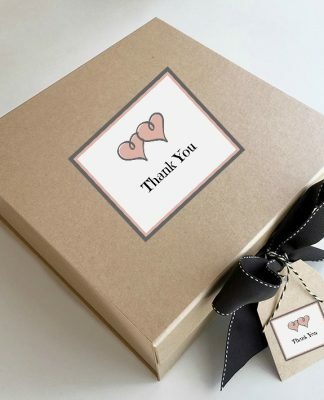 Please note: Even though we do appreciate the comments, remarks, feedback, suggestions, ideas and other submissions you disclose or transmit to us (collectively, Comments), Elegant Bridal Hair Accessories is not obligated to keep the Comments confidential or pay you or anyone else any money for your Comments. The Comments shall be solely Elegant Bridal Hair Accessories’ property, Elegant Bridal Hair Accessories shall own solely all rights, titles and interests in and to the Comments, and Elegant Bridal Hair Accessories shall not be limited in any way in its use of any Comments. You acknowledge that you are solely responsible for any Comments you make. For product questions or help, email us at info@www.elegantbridalhairaccessories.com 24 hours a day, 7 days a week. We will try our best to respond to your questions as soon as we can. To provide us with information about your experience with our products, please email us at info@www.elegantbridalhairaccessories.com.